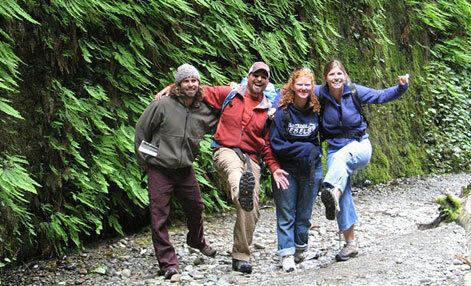 Looking for an outdoor education experience in Northern California? 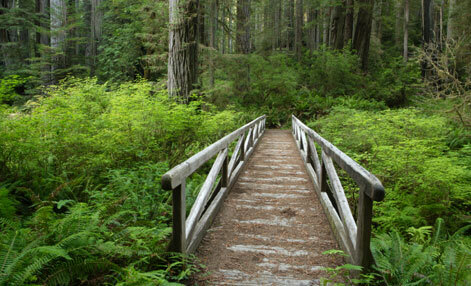 Look no further than Prarie Creek Redwoods State Park! 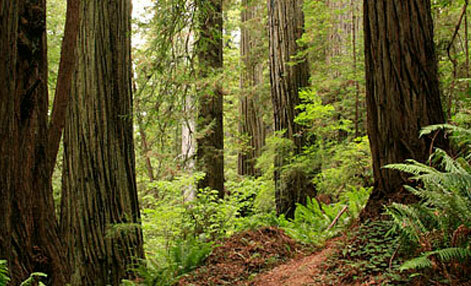 Set aside in the early 1920’s by the forethought of the people of California and the generosity of the Save-the-Redwoods League, Prairie Creek is a sanctuary of old growth coast redwood. Prairie Creek offers hiking, nature study, wildlife viewing, beach combing, a visitor center with exhibits and a nature store. 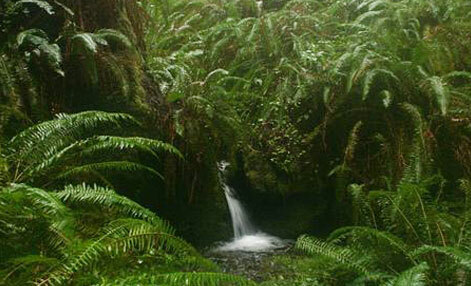 This is a beautiful box canyon – for half a mile it has a flat floor with a small creek running through, sheer sides covered with ferns and occasional large fallen logs across the streambed. Huge, overhanging trees grow high above on the canyon rims, blocking much of the sunlight and creating a moist, well-shaded environment. The hike through the canyon is very popular. The trail returns on a loop path close to the northern rim, and it is well worth walking right to the edge for a glimpse down into the leafy canyon. This is an area of mostly old growth forest containing coast redwood, western hemlock and Douglas fir with Sitka spruce and red alder. 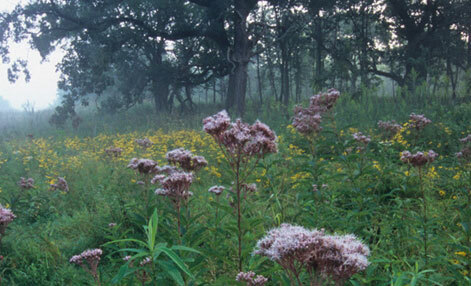 Because of prevalent coastal fog, the understory of the forest is very dense. 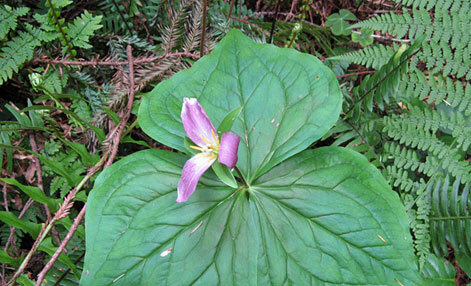 Tanoak, cascara, big leaf and vine maple and California bay can be found on edges of prairies. 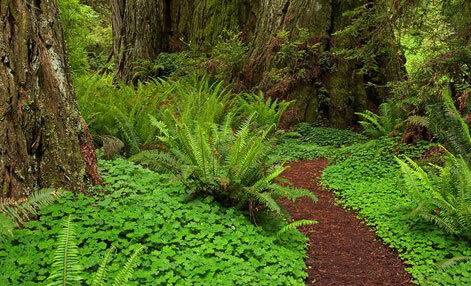 Ground cover is dense with a wide range of species and varieties of shrubs, bushes, flowers, ferns, mosses, and lichens common to the coast redwood environment. Western azalea and rhododendron bloom in May/June and offer bright accents to the dense green of the forest. The Rhododendron Trail is a favorite for seeing this showy display. 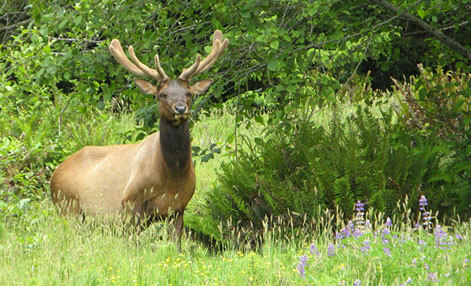 Park wildlife is both abundant and varied including such animals as black bear, Roosevelt elk, deer, coyote, mountain lion, bobcat, skunk, fox, squirrel, chipmunk and many others. 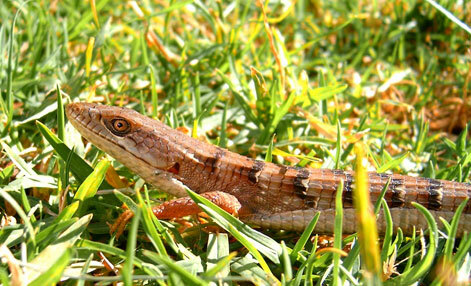 Designated as a World Heritage Site and International Biosphere Reserve. 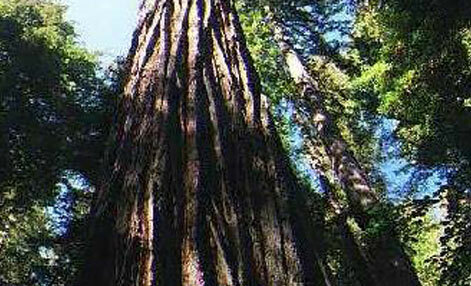 There’s over 280 Save-the-Redwoods League memorial groves. 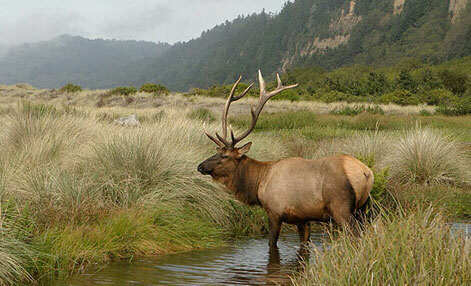 Habit and behavior studies of the Roosevelt Elk. Fauna. Mammals include Roosevelt elk, black-tailed deer, black bear, mountain lion, coyote, bobcat, raccoon, marten, fisher, and river otter. Birds include eagles, hawks, owls, peregrine falcon, osprey, and a variety of shore birds and waterfowl along the coastal part of the section. Species of concern include marbled murrelet and northern spotted owl. Streams and rivers are used by anadromous fish. Cultural Ecology. Humans have been utilizing the area for some 8,000 to 10,000 years, and have been an integral part of north coast ecology for some 2,000 to 3,000 years. Early inhabitants thrived on the diversity of habitats from ocean and estuary to forest, and intensively gathered numerous resources. The variety of northwest California ethnographic cultures is the most complex in the United States, reflecting diverse prehistoric and historic uses, practices, and human adaptations. The fur trade was a unique part of northwest coast’s early history; later, lumbering and agriculture were the main economic sectors.